It is easy to integrate IBscanner in your ASP.NET web site solution. In our online barcode scanner you can see a real working ASP.NET solution with the capabilities of IBscanner for detecting and decoding barcode images after uploading the containing file. It is a fully-managed code .NET library developed to guarantee easy integration in various types of ASP.NET projects. You can use it in your projects written in any programming language compatible with .NET technology. It supports multi-threading that guarantees very good performance. Identifies the type of recognized barcode and return string value of recognized barcode and coordinates of the recognized barcode. IBscanner reads barcodes from an image object, file or URL. Find out whether IBscanner is powerful enough to recognize the barcodes in your images. 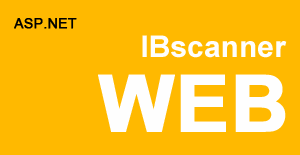 We will be glad to help you starting with IBscanner. Don't hesitate to share with us your challenges. We are ready to provide a personal solution for your case. Linear barcode reader with possibility for integration with other applications through command line requests. Copyright © 2017 Inobix. All Rights Reserved.